I know i haven't been posting regularly so now i have made a decision that i need to write minimum 15 posts a month! 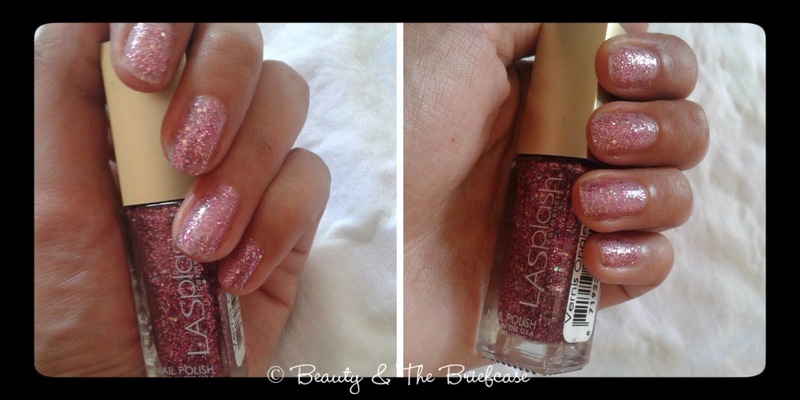 So you will be hearing from me regularly now :)Today, im back with a review of a nail paint. 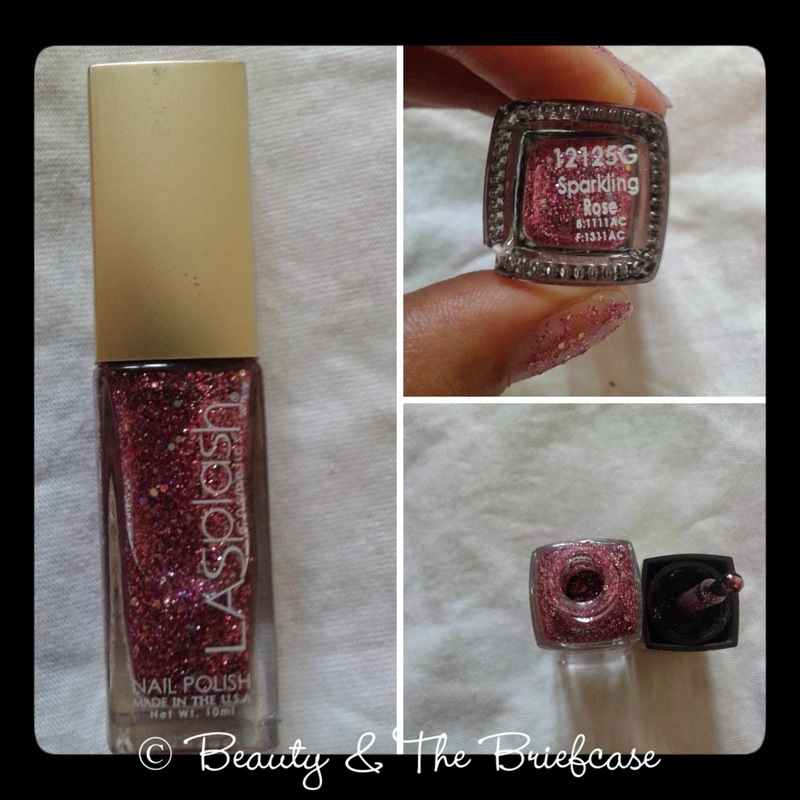 I received this LA Splash nail paint in my Fab Bag. I usually don't go for glitter polishes but i quite like this one. Anyhow, LA Splash in a US brand. I'm not too sure about the availability of this product in India. 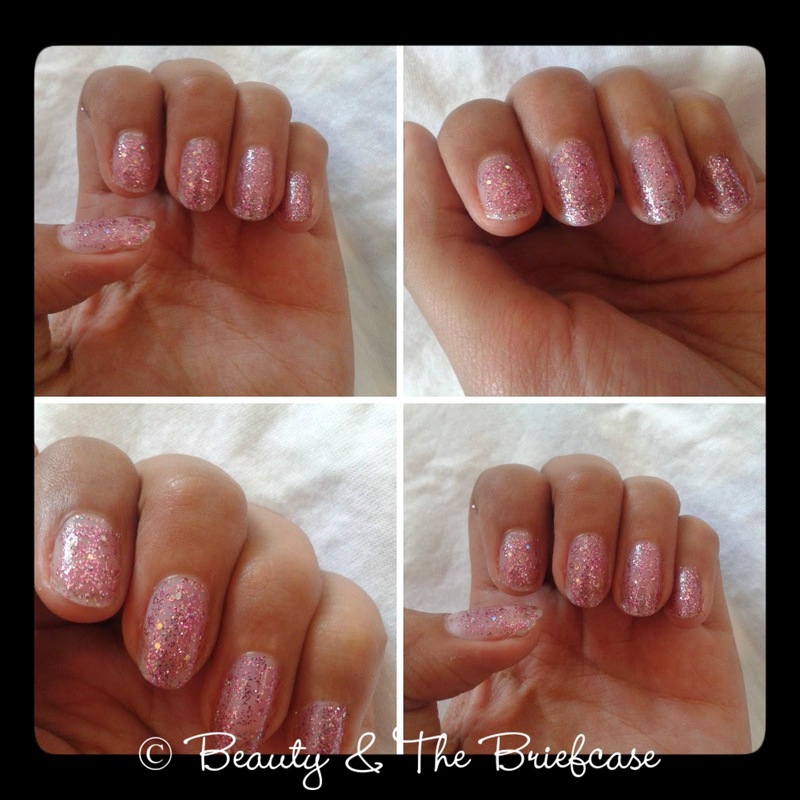 This nail paint, is filled with round glitter and tiny glitter sparkles. 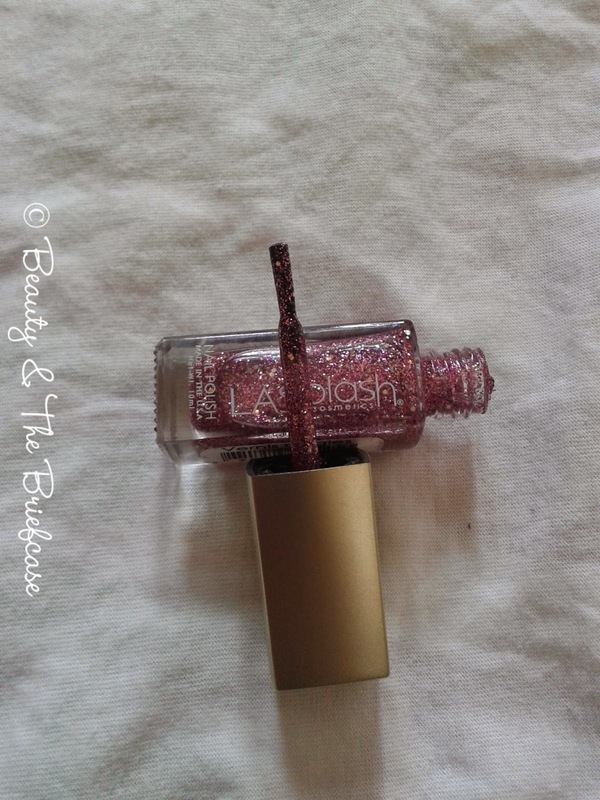 It gives a lovely pinky sheen and shine to your nails. You can use this in three ways according to me : a glitter nail paint on clear nails, a glitter nail paint on painted nails and for nail art purposes. I personally like to use it to bling out my ring finger! On application the product dries pretty fast, though you have to be careful that the sparkles get applied evenly on the nails. The product starts chipping the next day itself. But if you apply a top coat, the chipping is delayed. It was pretty easy to remove, a little effort hard to be put in to get all the glitter off but it wasn't a difficult task! 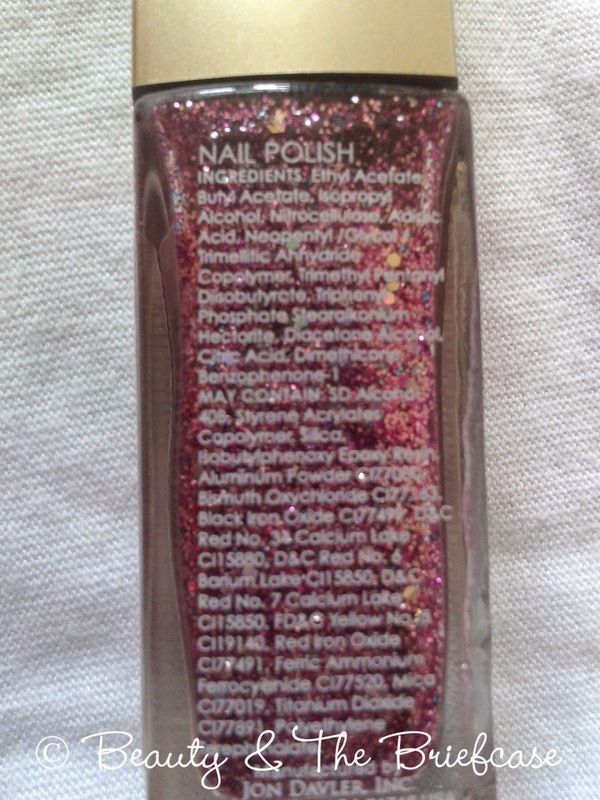 I have mixed feelings about it so i wouldn't recommend you to buy it unless you are a fan of glitter polishes. the nail paint is very pretty :) nice !